As if giving private instruction to the reader, Goldsmith lays out the spiritual principles and practices that lead to liberation. He begins with the fundamental truth that God constitutes individual being, and explains that living in the conscious awareness of this truth can move us out of the personal sense of life that is the root of our problems into the spiritual consciousness where we live in glorious freedom under grace. Building on that foundation, Goldsmith details the other major principles of the Infinite Way. Emphasizing the role of prayer, he reminds us that prayer is not asking or pleading with God, but a resting in silence and a listening for the “still, small voice.” All along the way, he helps the reader empty out old theories, concepts, and beliefs and make way for the “new wine” of Spirit. 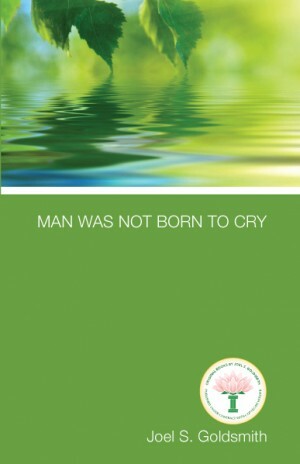 With its clear revelation of the beautiful possibilities available to the sincere student as well as its practical instruction on the means of attainment, Man Was Not Born to Cry will prove a treasured volume that inspires and encourages the spiritual seeker.